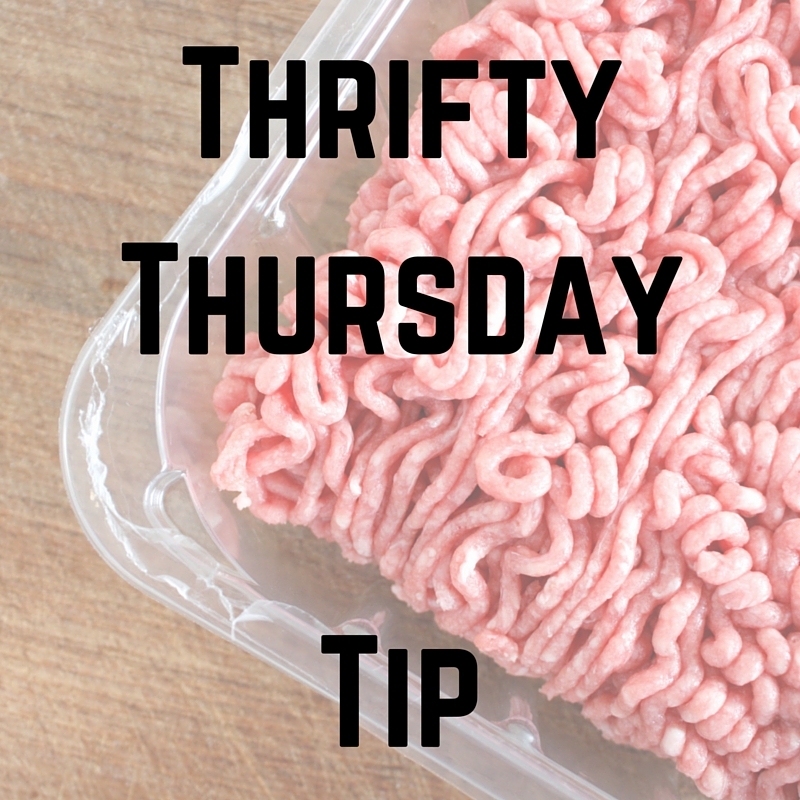 Thrifty Thursday: Save Money when Cooking Ground Beef | Center for Family Services, Inc. Ground beef can be an economical choice when cooking on a budget. A pound of ground meet added to the ingredients for chili can feed the family and leave enough for another meal. The price of ground beef has skyrocketed, however. If a family wants to watch the fat intake, the cost of buying lean meat is not budget friendly. There is a way to buy the less expensive packages of ground beef and still help make your meals healthier. If you’ve tried to drain off the fat after cooking ground beef, there is always some left clinging to the meat. The following method of rinsing your browned meat can help to significantly reduce the amount of fat. When preparing a dish that calls for cooked ground beef crumbles such as spaghetti sauce, chili, Sloppy Joes, taco filling or pizza topping, the fat content can be reduced by rinsing after cooking. This is an excellent way to take advantage of the lower-priced 70% lean (30% fat) ground beef and still have the benefits of a leaner product. Note: If your recipe calls for browning ground beef with onion or garlic, it can be done at the same time and then rinsed without significant loss of flavor. Additional seasonings, such as salt and pepper, and herb should be added after rinsing beef crumbles to minimize any loss of flavor. To reduce the fat content of panbroiled or grilled ground beef burgers, follow these simple steps. Shape ground beef into 1/2 –inch thick patties, approximately 4 inches in diameter. Heat skillet over medium heat 5 minutes. (Do not add oil). Or prepare hot grill. Panbroil or grill patties 7 to 8 minutes, turning once. Remove to large plate lined with 3 layers of paper towels; let sit 1 minute, turning over after 30 seconds. Season as desired and serve. Blotting to reduce fat can easily be applied to other shaped ground beef products such as meatballs, and sometimes to meatloaf. Roast the meatballs or meatloaf on a rack so that the fat drips away during cooking. After roasting, place on a surface lined with several layers of paper towels. Blot the sides and top (if not glazed) for further fat reduction. 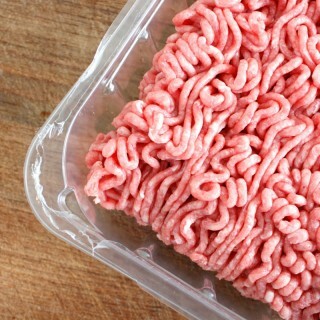 For recipes where rinsing and blotting is not feasible, it is best to use 90% lean or extra lean (97% lean) ground beef product. If time does not allow for the blotting and/or rinsing of ground beef, remove any excess fat from the skillet during cooking. Using a crumpled white paper towel, carefully soak up fat as it accumulates during browning and before additional ingredients are added. Substitute low-fat, low-calorie versions of ingredients; such as low-fat or non-fat sour cream for regular sour cream. Cook with fresh ingredients that do not contribute extra fat and contain few calories such as hot and sweet peppers, onion, garlic and tomatoes.